Herman became seriously ill a couple of weeks ago. The vet who examined him believed it was cancer, but didn’t think there was much they could do for him. The ever-devoted girlfriend, Ivy stayed by Herman’s side throughout his illness. She slept near Herman to make sure he was never alone, and when Herman passed away on March 31, Ivy was right there with him. She went to his grave and wouldn’t leave...and stayed there for hours and hours. It’s said that love knows no bounds. For a potbelly pig named Ivy, this proverb couldn’t be truer. After a bit of time, Ivy managed to find a way to waddle into Herman’s heart, and the two of them became inseparable. “She always wanted to be where Herman was,” Renee says. 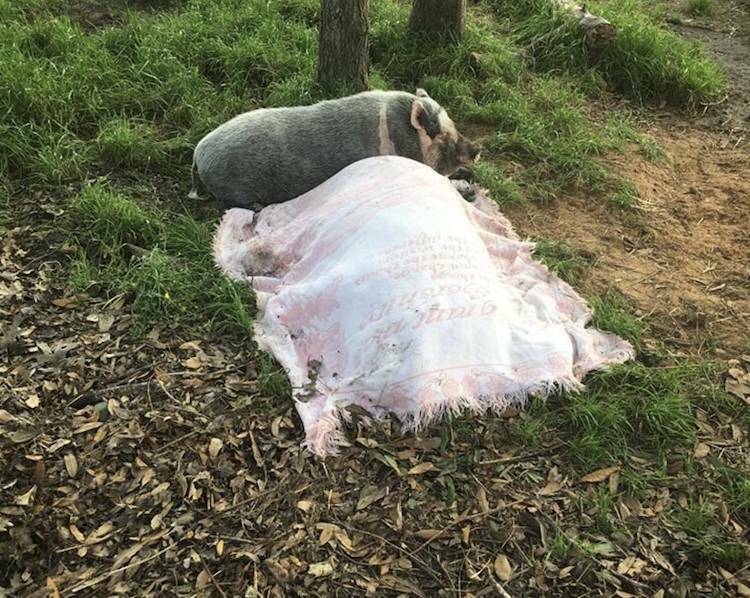 The pigs — who were both rescued from neglectful situations — ate together, slept next to each other, and even went for adventures around the sanctuary together. 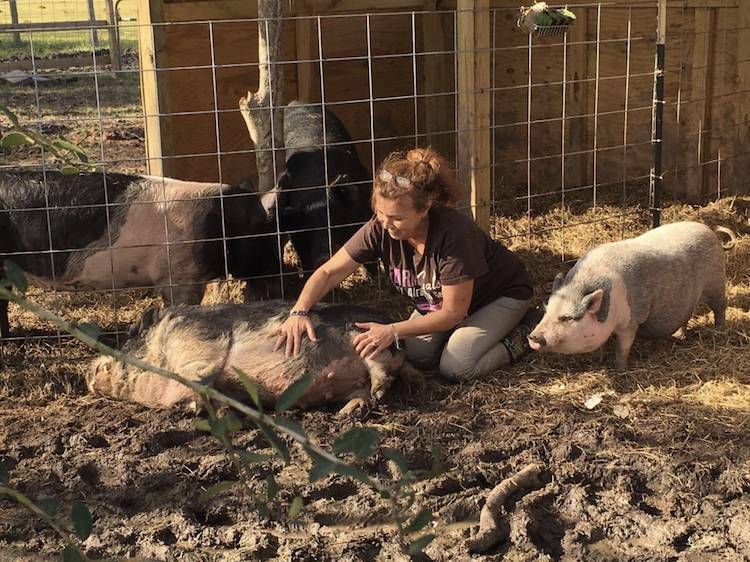 The pigs adored each other so much, the volunteers called Herman and Ivy boyfriend and girlfriend. Unfortunately, Herman became seriously ill a couple of weeks ago. The vet who examined him believed it was cancer, but didn’t think there was much they could do for him. The ever-devoted girlfriend, Ivy stayed by Herman’s side throughout his illness. She slept near Herman to make sure he was never alone, and when Herman passed away on March 31, Ivy was right there with him. Love knows no bounds! Ivy won’t leave Herman’s side, even after he passed away. Ivy is still in deep mourning for Herman, but she’s getting lots of back caresses from her human friends, as well as attention from the other animals at the sanctuary. While no one will ever be able to replace Herman, the love that surrounds Ivy at Rowdy Girl Sanctuary will surely bring her comfort.